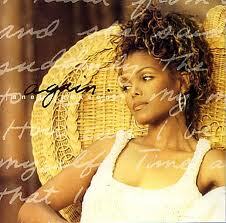 Janet Damita Jo Jackson is an American recording artist and actress. Known for a series of sonically innovative, socially conscious and sexually provocative records, as well as elaborate stage shows, television and film roles, she has been a prominent figure in popular culture since the early 1970s. The youngest child of the Jackson family, she began her career appearing on the variety television series The Jacksons in 1976 and went on to appear in other television shows throughout the 1970s and early 1980s, including Good Times and Fame.